At Martins Carpet One Floor & Home in Denver and Wyomissing, PA, you’ll find the quality carpet you want for your home or office. Carpet is a top choice among homeowners today because of the comfort it brings to their homes. There are several carpet characteristics that play a role in how a carpet functions in your home and its style. What all carpets have in common is they combine style, warmth, and functionality all in one. Carpets that are stain, wear, and fade resistant allow you to live a worry-free life in your own home. If you are looking for a floor with unmatched comfort and something you look forward to walking on after a long day, then carpet is the right choice for you and your home. Transform your personal space into a private, relaxing retreat. If you select a carpet that features stain and wear resistance, the possibilities are virtually endless when it comes to where you can install a new carpet in your home. Ideally you should install carpet in spaces like bedrooms, living rooms, and children’s play rooms. Other places you can install carpet includes hallways and staircases, and even basements. Be sure to avoid installing carpet in places with a lot of moisture such as laundry rooms and bathrooms. There are some waterproof carpet options, such as Tigressa H2O, but we still don't recommend these options in high-moisture areas. If you're looking for carpet for a commercial space, you can choose from a variety of commercial carpets. Commercial carpet is more durable than residential carpet, but it doesn't offer as much design versatility. Carpet tiles are popular in commercial settings. It is important to consider the type of design you want in your carpet, or if you want one at all, which comes from pile styles. You also want to choose the color of your carpet to either compliment your home décor, brighten up a room, or even hide stains and pet fur. We can make choosing the right carpet for your home easy. Carpet fibers can also have a large impact on how a carpet will function in your home, so synthetic fibers are great for durability, but a natural fiber like wool has a lot of great properties that can make a positive impact in your home. There are five main types: level loop, patterned, textured, frieze, and plush. 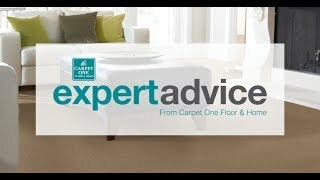 There are many different things to consider when choosing the best carpet for your home, so let our experts help. We always advise following the guidelines provided by the manufacture when it comes to caring and maintaining your new carpet. Follow the link below to check out a few tips on carpet cleaning.